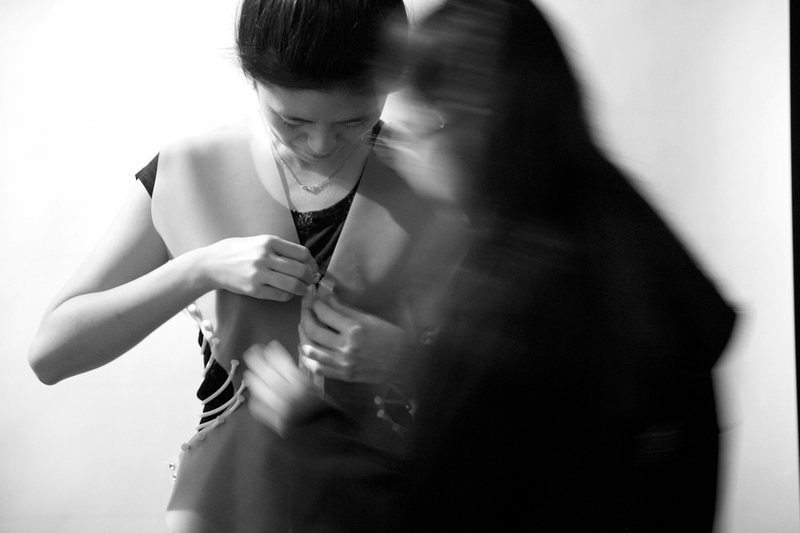 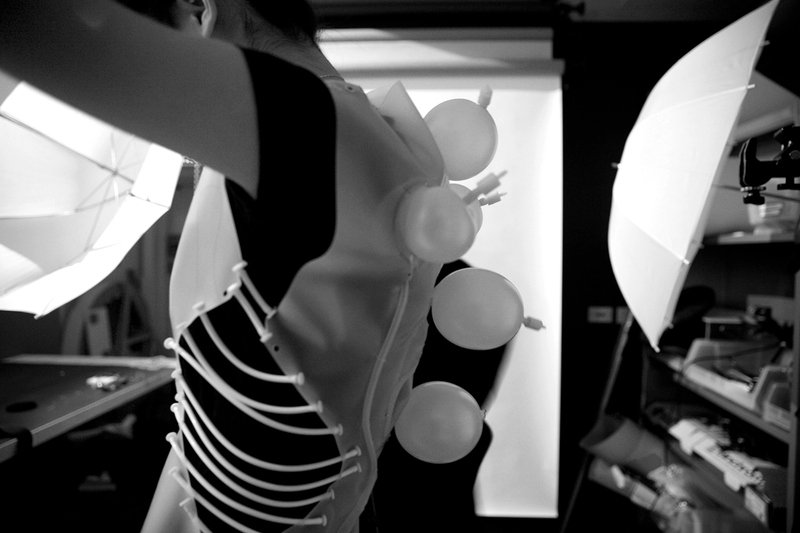 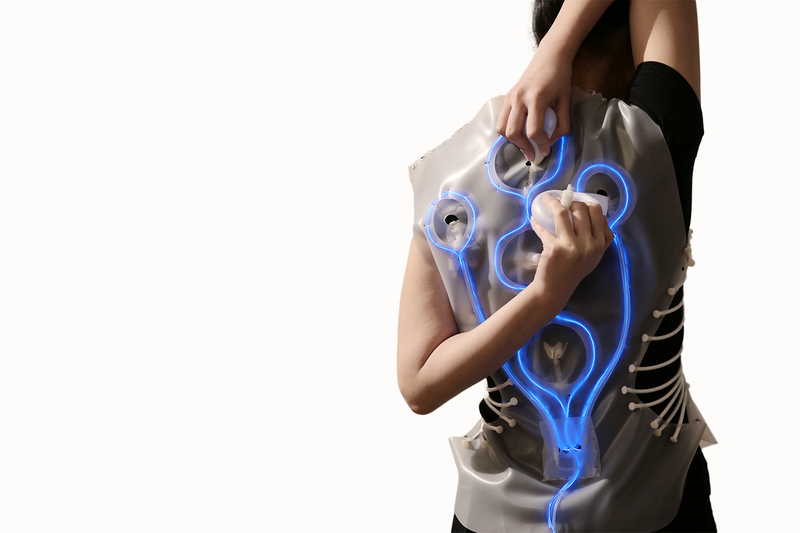 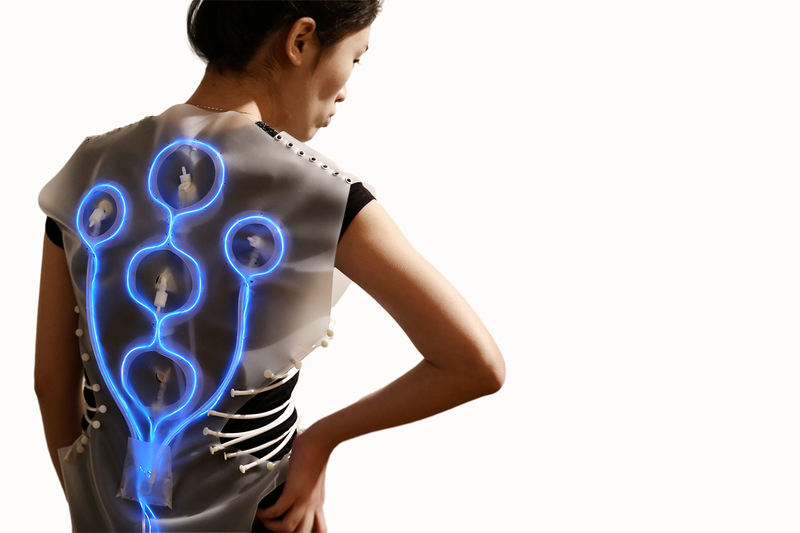 RE is a wearable design that aims to visualize the fatigue of a user's body and to remind the user to take a rest. 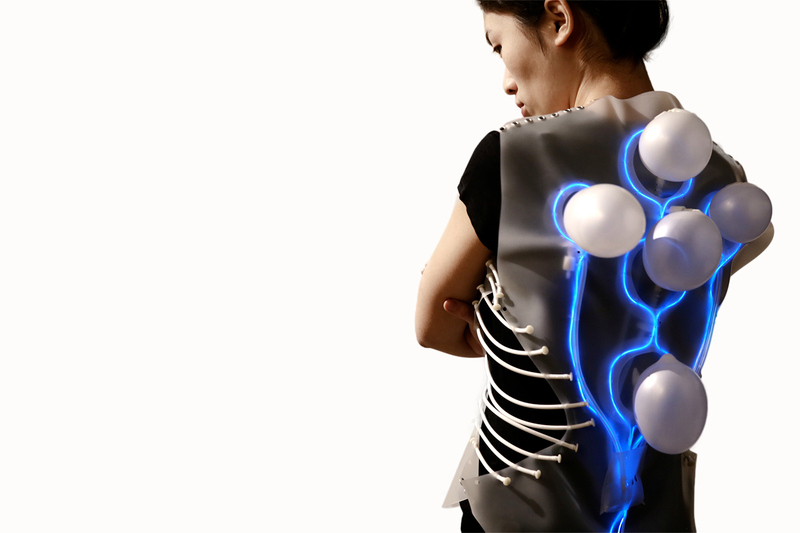 The inflatable system with 5 bubbles evaluates the different levels of the fatigue of body and tells users when to take a rest. 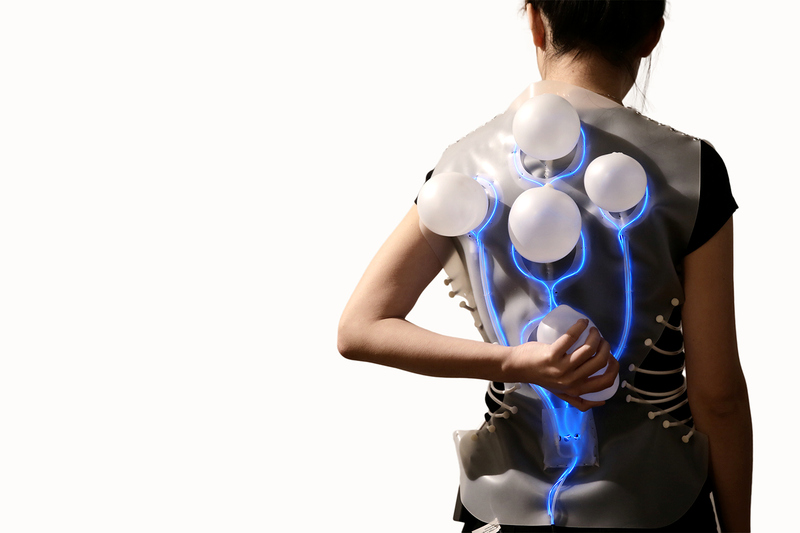 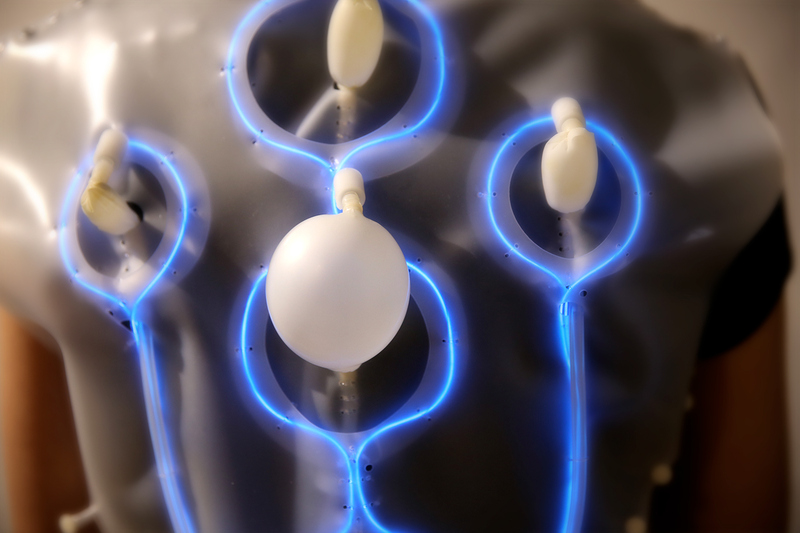 It also provides an interactive way to relax because users need to try hard to reach the inflated bubbles and squeeze the air out of them by hands.